In the Grant Buckets window, click GLM. 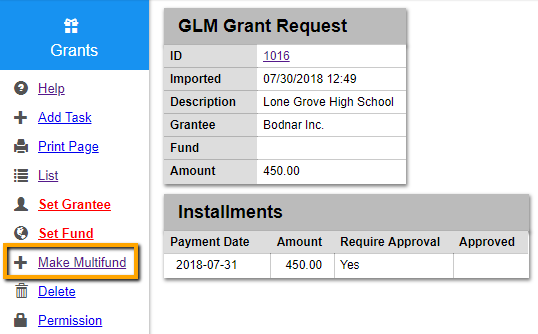 In the GLM Grant Import window, select a Grant Request ID number. Click Make Multifund from the left-side menu. Select Set Grantee from the left side menu. Click Modify Amounts from the left-side menu. In the Installments window, enter the Amount and Payment date for each line item. 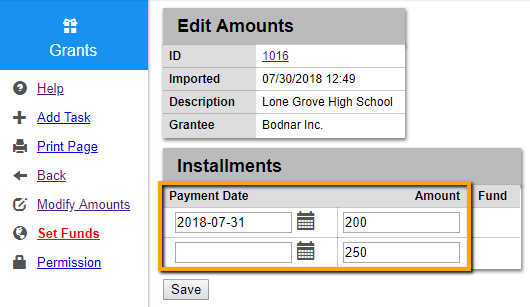 Note: The total of all line items must equal the amount in the original Grant Request. Select Set Funds from the left-side menu. 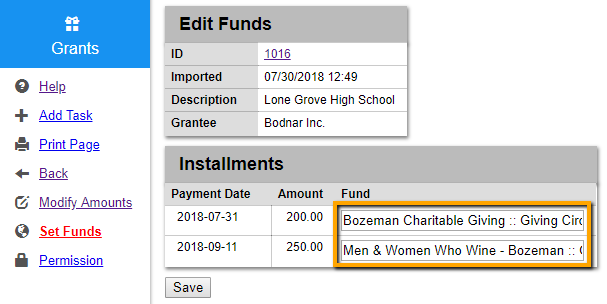 In the Installments window, enter the Fund associated with each line item. Once you're done modifying, click Back from the left-side menu.